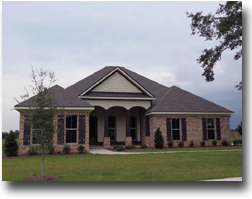 Already own a home in the Old Battles Village subdivision? Thinking of selling? Click here and read about current search trends & our web network. Old Battles Village is located just outside of downtown Fairhope, AL near the golf course at the Grand Hotel or Lakewood Country Club. The Old Battles Village subdivision is close to Mobile Bay also at approximately 2 miles to the East. This area of Baldwin County is a short drive to the area's larger cities with regional airports in Pensacola, FL and Mobile, AL. Fairhope has consistently been voted as one of America's best places to live due to the beautiful landscape of coastal Mobile Bay, the fantastic school system and variety of boutiques and culture of the area. Fairhope, AL is also about a 30 to 40 minute drive to the beautiful beaches of Gulf Shores and Orange Beach, AL. If you need further info, have questions or would like to schedule a viewing for any of the homes for sale in Old Battles Village or any other properties in the area, please email info@condoinvestment.com or call (251) Area-Pro (251-273-2776) for immediate assistance. Old Battles Village is less than 5 miles from downtown Fairhope, Lakewood Country Club, and Grand Hotel Marriott Resort. The subdivision is about 40 minutes away from popular beach destinations. Browse our site and find real estate information in the surrounding areas such as active listings for Gulf Shores condos, in addition to in-depth information for recently sold condos including actual sold prices and closed dates to help buyers determine value and maximize investments. We make it easy for users to browse properties in the Gulf Coast region with pre-defined search options, filters, aerial imagery, and map searches. Numerous beach developments are underway on the Alabama coastline and the Florida Panhandle, visit our pre-construction condos page to view more information on these new projects.